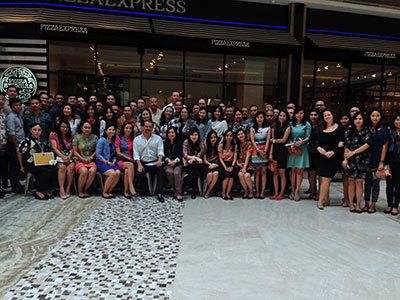 Jakarta, April 30th 2015 â€“ Archipelago International, Indonesiaâ€™s fastest growing hotel group, recently celebrated the anniversary of its founding and 10 years of successful operation in the hospitality industry. Archipelago International formerly known as Aston International is one of the leading hospitality management company in the Indonesian archipelago. In 2013, Aston International renamed itself to Archipelago International. This new corporate entity will serve as the groupâ€™s umbrella organization and be the name of the hotel management company behind all of its existing and upcoming hotels and resorts. Archipelago International managed hotels range from select service to five star hotels and luxury villas and operates under the hotel brands: favehotels, NEO, Harper, Quest, Aston, Alana and Kamuela. 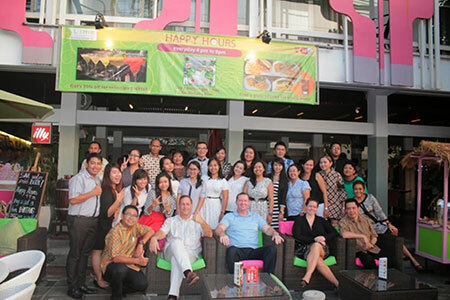 The group continues to be the preferred hotel management company in Indonesia with its wide range of brands to meet a variety of market needs. Archipelago International will plan more than 95 in the pipeline through 2016. The new hotels will be a mix of 4-star Astons and 3-star Aston City, Harper and Quest Hotels as well as several select service favehotels and trendy boutique budget NEO hotels located in Medan, Jakarta, Bandung, Surabaya, Madiun, Bojonegoro, Solo, Malang, Yogyakarta, Bali, Balikpapan, Banjarmasin, Lombok and Kupang. "We are very proud of all of our accomplishments over the past 10 years. We continue to build upon our reputation for outstanding service while growing our brands and expanding our offerings to meet the needs of our guest. Currently Archipelago International has over 15,000 rooms and more than 100 hotels across Indonesia, Malaysia and Philippines. We are confident Archipelago International will continue to expand throughout Asia and will be universally recognized as the preferred hospitality management company in Asia." Said John Flood, President and CEO of Archipelago International. Archipelago International is one of Indonesiaâ€™s leading hotel operators with an underlying portfolio of 100 hotels and 15,000 rooms. As a continually expanding brand, Archipelago International has a development pipeline exceeding 95 properties in Indonesia, the Philippines and Malaysia. Archipelago International hotels operate under the hotel brands favehotels, NEO, Quest, Harper, Aston, Alana, and Kamuela, ranging from ultra luxurious private pool villas to serviced apartments and select service economy class hotels, thus offering Indonesiaâ€™s vastest and most comprehensive hotel network.